› LOCKSMITH TORONTO, THANK YOU! Locksmith Toronto an expert Toronto Locksmith Company in GTA,Located in the heart of Toronto. locksmith Toronto is 24 hours Emergency Toronto Professional Locksmiths services for all your locksmith services needs. We service both residential and commercial locations along with anywhere you may find yourself locked out of you vehicle. We are available 24 hours a day 7 days a week for emergency locksmith services, Xpress Locksmith Toronto will never leave you stranded. Our professional locksmiths are experienced and ready to provide you with the best locksmith services available in Toronto and the Greater Toronto Area (GTA). When you book a call out with Locksmith Services in Toronto you will speak directly to a 24 hour Toronto locksmith who will give you an accurate indication of how long it will take to arrive. If our technician is on a job he will tell you where he is and how long he expects to finish, and if it's too long we will recommend someone else that services the Greater Toronto Area. If a lock does not pick within 10 minutes we then move on to impressioning of your lock. There is an extra charge incurred for the labour but it is an effective way to gain entry should picking be ineffective. It involves cutting a key to the lock by inserting a key blank, a process that generally takes between 5 and 15 minutes. A good Mississauga locksmith should always resort to impressioning your lock before using destructive entry. Before you book a 24 hour locksmith Mississauga ask them if they will attempt to impression the lock before using destructive entry. If both of the abovementioned methods are unsuccessful then we will destroy the cylinder and replace it with a new one. This does not damage the door, and there is an additional charge incurred for parts. It's not all that often that we resort to destructive entry, however some locks have built in security measures to make them pick resistant or have combinations that make them difficult to pick. Do you know how many people have the key to your front door? You can take control by installing a restricted key system. Only you or a person, whom you nominate, would be able to duplicate keys. With a restricted key system you will always know how many keys are out there, who has them and when the keys were issued. It's an effective way for landlords and business owners to boost security by restricting key duplication. At 24 Hour Emergency Locksmith Services in Toronto we can incorporate a restricted key system into your existing locks. This means you wont need to change the locks, making for a cost effective method to increase security. All too often Locksmiths will resort to destructive entry when encountering stubborn or hard to pick locks, destructive entry is the absolute last resort that we use, in 95% of the cases we gain access by using non destructive techniques, even when it comes to stubborn or hard to pick locks! These trade skills take years to master. If the 24 hour Toronto locksmith Services you call does end up using destructive entry, it will cost you more than a standard lockout as you will be paying for the extra time needed in supplying, rekeying and installing a new lock. It can turn a lockout situation into a lockout + parts + labour. We use the latest tools in lock defeating technology to get you in quick! Need 24 hour service? Call us now! Our 24 hr emergency locksmith carries a wide range of colours and brands ready to discuss which is most appropriate and secure for you, to arrange for an experienced tradesman to your door why not call us now – we service the Greate Toronto Area. We can also upgrade the keyways in your current locks to a restricted security design that offers a higher resistance against picking or "bumping" compared to standard keys. Our round the clock service includes domestic and automotive gain entry as well as rekeying and making keys. Need a professional 24 hour locksmith Toronto? Call our locksmith services company servicing the GTA for a fast response 24 hours a day. Each of us has had a need for a locksmith at some point in our lives. We will require their services to be able to ensure that our security tools which guard our houses and offices are safe. There are locksmiths that work for 24 hours in a day. Sometimes we might be in need of a locksmith to be able to get ourselves out of a lockout situation that we might be in. In today's world most of us live fast paced lives. We are so occupied mentally that the thing we forget mostly is our keys. It is almost a very tough situation for women when they forget their keys. Guys always tend to find a way in, they can jump in through windows or they would prefer to just break the door down. A locksmith is a woman's best friend. There are 24 hour locksmith services, which are available for anyone who is stuck with a locked door. In fact, these locksmiths are very handy and they can help us during very critical times. If you live in Canada, you can make use of a locksmith, Toronto based. There are many locksmith companies that are reputed enough to be able to open various branches in different parts of Canada. 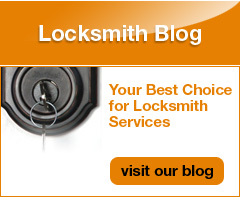 These locksmith companies are the ones that you can trust. You can trust these companies because they have a reputation for the good work that they do. Most of these chains of locksmith companies offer 24 hour Toronto locksmith services. © Copyrignt 2011, Xpress Locksmith. All Rights Reserved.